As much as we love our sons, no one wants their son living with them when he’s 45 if they can help it. It just isn’t natural. 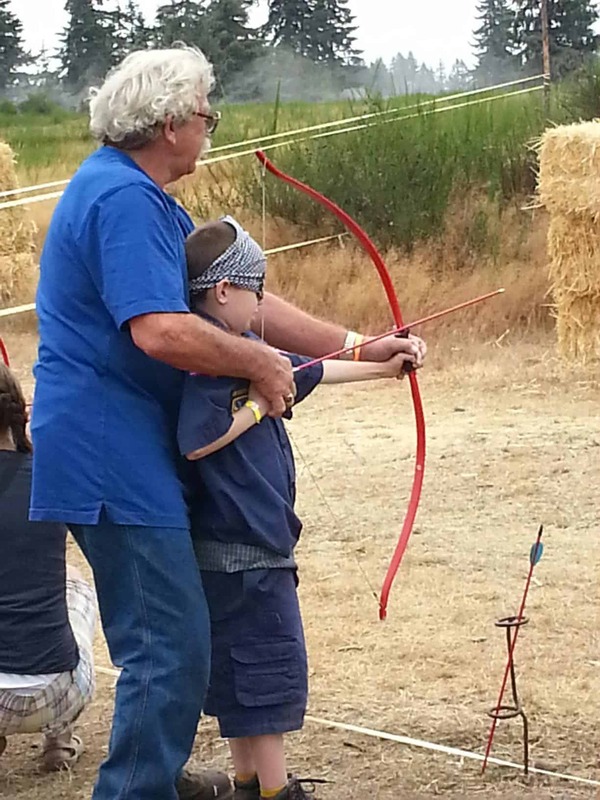 When we raise our sons, it’s our responsibility, as their parent, to teach them life skills that makes them want to get out of the house and be independent. 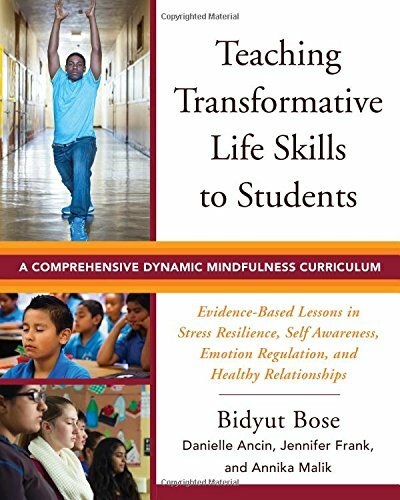 Life skills are more essential than you may realize. 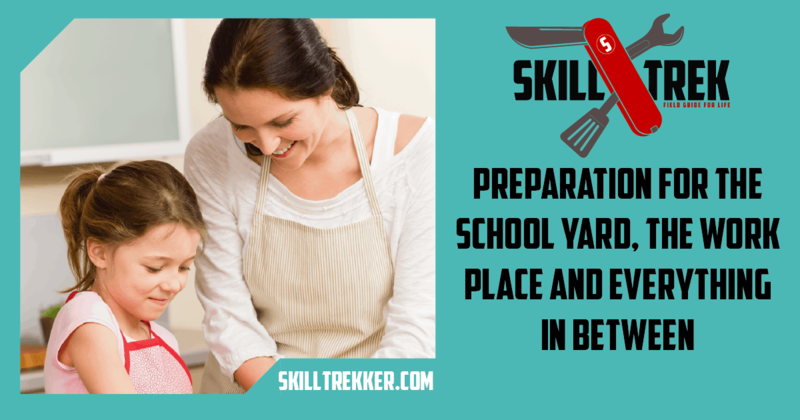 From making their bed to cooking their own meals, there are countless life skills you can start teaching your son now. 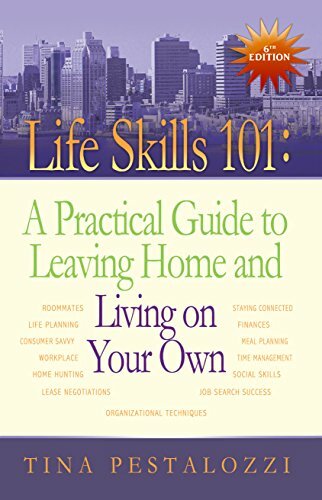 Check out these life skills to teach your son to ensure he doesn’t live with you when he’s 45. The best thing about teaching your son how to cook is that there are different layers of comprehension. You can teach your son how to cook in simple ways when he is younger and progress as he gets older. For now, he can learn how to make scrambled eggs and toast. Later he can learn how to cook meat, boil pasta, and even use the oven. 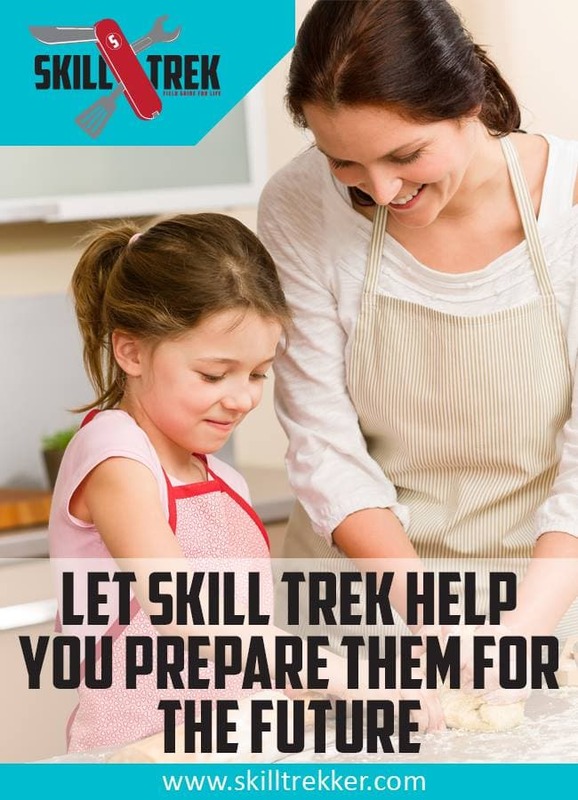 Cooking is probably one of the best life skills you can teach your son. Here’s a free subscriber meal plan for kids! You hear the stories of moms who still come over and do their son’s laundry, even though their son doesn’t live at home anymore. You don’t have to be that mom. You can easily teach your son how to do laundry. In fact, laundry isn’t even all that hard. Take it a step further though. Teach him how to hang dry fabrics that are sensitive. Show him how to separate colors and fabrics. Laundry is one life skill that is going to follow your son for many years to come! Once you teach him how to do laundry, make sure he also knows how to fold it and put laundry away. This is also an important life skill. Living in a dirty house might be acceptable for a day or two, but at some point your son will need to learn how to clean up after himself. When you walk into his room right now, is it clean or dirty? Show him how to make his bed, sweep, dust, and keep things tidy. There is always some level of filth acceptance, especially for boys, but he should still know how to clean his room. Show him that he can’t leave half eaten food on his night stand or dresser. He also needs to learn how to separate dirty laundry from his clean laundry. One of the best life skills you can teach your son is how to earn money. Come alongside him and teach him how to earn money to buy the things he wants in life. The best thing about earning money is that they can start young. Start by assigning him chores. My oldest son has mowed yards to earn money for the last two years. He has made some serious cash doing this, too! I am so thankful that my husband has been so diligent to take him to each job and teach him. If your kids are smaller, have them make their own DIY banks to watch their savings grow! Eventually, you will want to open up a bank account for older children. Many banks offer a student checking and/or savings account. 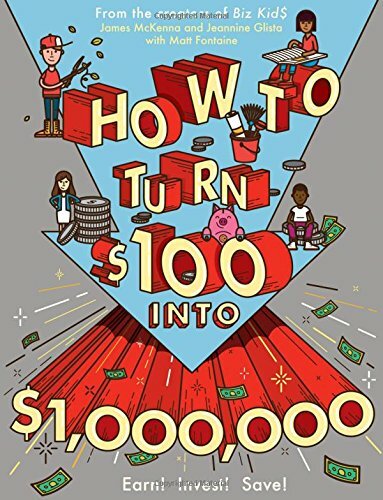 You can also teach your son how to bank. As your son grows older, directions are going to be an important part of how he gets things done. Not only should he learn to listen to directions from you, but he should learn to listen to directions from other people. When he doesn’t listen to what you’re saying, make sure you stop and repeat them. Also let him know that listening the first time is an important part of following directions. This may be one of the harder life skills to teach your son. My oldest not only has his own business, he applied to work as a volunteer at our local library as part of their teen helper program. He had to test and scored perfect on his test! This has allowed him to continue there, even after the summer program ended! Another life skill you need to teach your son is compassion. That’s right! Show him how to treat others and how to help others. If you see someone down on their luck and you’re able to help, then help them. Compassion is a life skill that not everyone has these days. Without it, it’s hard to want to offer help to someone in need. Compassion helps us see when someone is hurting or it helps us to understand their pain. Take the time to show your son what compassion is and teach it to him. As you can see, the list of life skills to teach your son is long. However, it’s not impossible. Boys need these life skills. They needs moms and dads to come alongside them and teach them as much as possible. 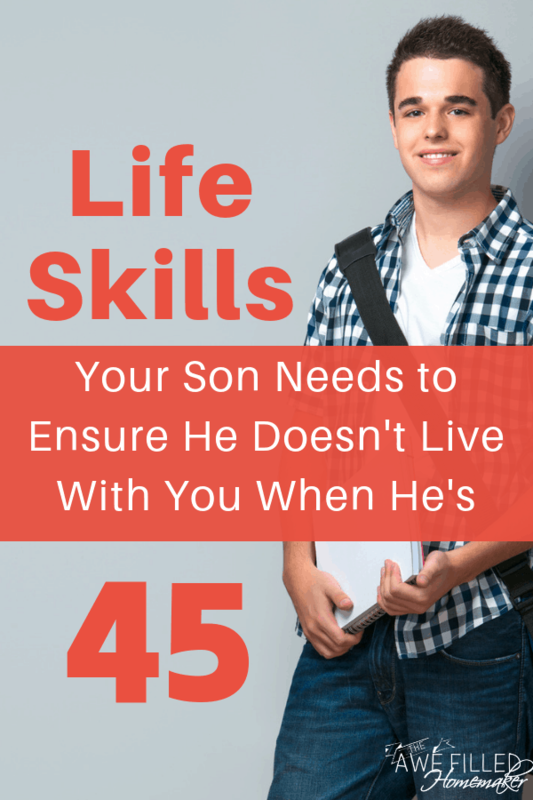 What life skills do you plan on teaching your son so he doesn’t life with you when he’s 45?